Ideal as a gift and a great accessory for fans, treat yourself or someone special to the Gilbert Toulouse Mini Rugby Ball Keyring. 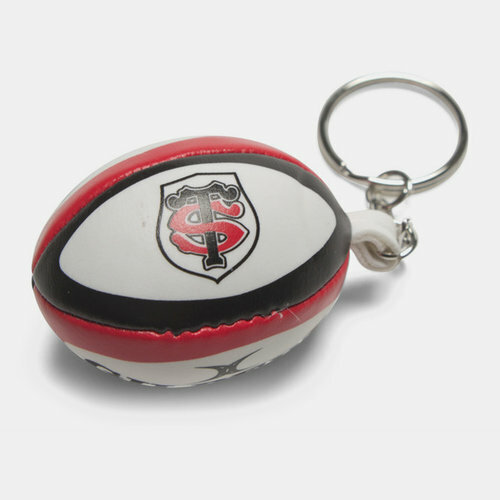 This official rugby ball shaped keyring of French Top 14 team, Toulouse, features a keychain to attach to set of keys or perhaps even a bag and is soft and stuffed with polyester. The Toulouse club badge is printed upon it to prove your club loyalty. An ideal way to pay casual tribute to your favourite team, clip onto your keys and other accessories the Toulouse Mini Rugby Ball Keyring from Gilbert.